Cape Town – "Every time I hear a young woman saying 'I’ve designed my own website and I’ve written an app', it makes me so proud," says Baratang Miya, founder of GirlHype. GirlHype is a non-profit organisation which is focused on getting women into science, engineering, technology and maths (Stem). "Though we are focusing on stem, we also get girls to do software programming, coding," Miya told Fin24. Miya says 12 years ago, when GirlHype was formed, there was already a need for women in tech, but she believed it was a "pipeline issue" then. "Increasing that pipeline of women in Stem was the key," she says. Miya started going to schools and worked with girls, getting them to understand maths because of the logic behind it. She encouraged them to start coding and encouraged them not to be afraid of technology and rather helped them understand what it offers. One of the successes of GirlHype was to have two apps developed by its members which went to the finals of the Technovation challenge, a global competition. The competition had about 2 500 entries this year and two of these were from South Africa, represented by GirlHype members. Only 30 made it to the finals. “This makes me proud because it means girls are becoming innovative and that we are doing something right," Miya told Fin24. 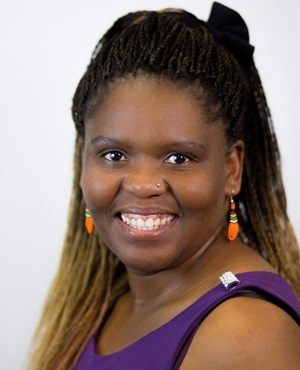 Miya, who sits in the board of the Silicon Cape Initiative, was chosen as part of Women in Tech, a US government initiative that recognises women globally who are making a positive difference in the tech space. She spent eight weeks in Silicon Valley in the US where she was trained and coached by “highly skilled” women in tech. “I’m still in awe of what I’ve learnt there. I still can’t believe it. It’s like a dream come true for me. I realised that women are not scared there; they go out there. There were so many women there who owned businesses in tech and they also invest in tech. This made me realise that we need more women to invest in technology here. "As African women, we need to stop being scared of sharing our ideas. We also need to support each other,” Miya said. Miya, who has been working for various organisations including the Barn Khayelitsha, an incubator for entrepreneurs, has recently started dedicating herself to running GirlHype full time. "The timing was right," she says of the move. Miya says her proudest moment since GirlHype’s inception was being recognised internationally and being part of the global community of women who are making a positive difference in the tech space. "We really believe that if we target and influence girls' subject and career choices before they become women with lots of societal influences and self-doubt, the educational empowerment we offer them cannot be taken away... it's enough to impact the next generation of women in Stem." Miya says technology is a tool that can both "empower and destroy women". She says there is not enough online content that is relevant to women and girls and she believes that women have to write their own stories. "It makes sense that with the media as messenger we can encourage more girls and women to read, write and participate on the web. Then they will be able to use it as a tool to communicate their issues and find solutions that are impactful to transformation of women's lives economically, politically and socially," she says. "Family is number one for me. If your family does not support you in what you're doing, that's tough. My husband knew what I was doing from the very beginning and he would chip in with money when there was a need. All my children can code and they help in running GirlHype. My 13-year old can facilitate a workshop if I need someone to," she says. Her oldest daughter Thoko (23) has just returned from Silicon Valley where she was trained as a Technovation master educator. Her son Lebo (19) teaches unemployed youth in Khayelitsha at The Barn and her teenage daughter Thato (13) is a GirlHype Technovation Ambassador. Miya says she also has support from the women in tech as a member of that community and that everyone is always willing to help. "If I were to post a tweet now and share something good, people will retweet that and say 'what great work you are doing' and that's the kind of support system I have," she adds. According to Miya, prayer is another key element of her motivation. "When things get tough, I get into my corner and pray," she says. "Every day I wake up, I’m motivated by the fact that I’m alive, I know it sounds silly," she laughs. "My hope is that the more we educate and make a change, even if it’s a small change on few peoples’ lives, then we would eradicate this poverty in our communities. She has never worked in a job where she didn’t work with the community. "The way South Africa was designed is that when people say 'I go to work', they mean leaving Khayelitsha to go to work, but for me it means leaving Claremont to go to Khayelitsha," Miya says. She also believes that the ignorance that people have about these communities can be eradicated. She says when she tells people to meet her in Khayelitsha, people often roll their eyes because "they are scared", but she says there is wealth in these communities. "If we can show our people that they are the wealth of our society, I believe that would somehow reduce crimes in these communities," Miya says. Miya is also an avid hiker. She belongs to a hiking group and they hike Table Mountain regularly. Miya discovered hiking when she was still a student at the University of Cape Town (UCT). She says when she's on top of the mountain she feels alive. "When I'm there, I don't think about GirlHype or family. It's Bara's moment. It's my thinking space,” she enthuses. Miya is a passionate self-taught coder who spends most of her time empowering women in web literacy: how to read, write and participate on the web. 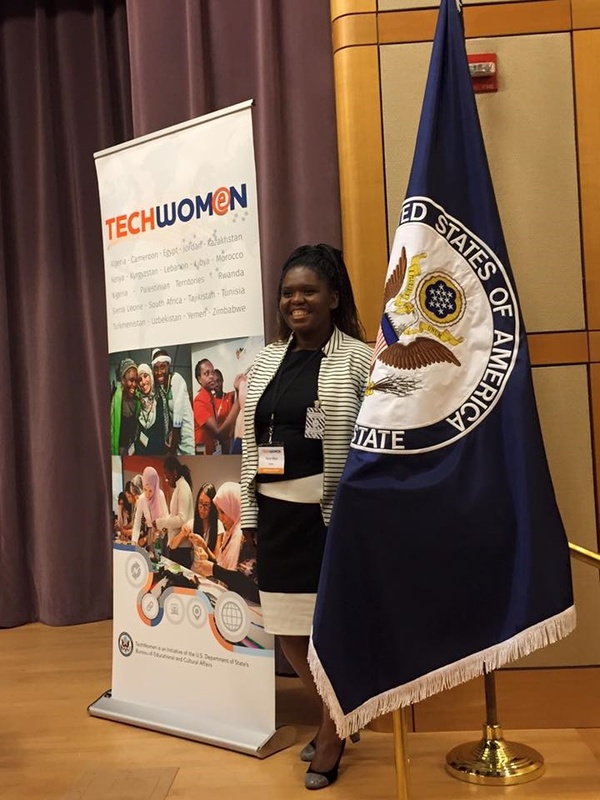 She is a firm believer in promoting women's and girls' education, especially coding skills. She is currently working on a programme for Mozilla and UN Women, forming clubs in Cape Town that educate women on how to read, write and participate on the web. Miya holds a post graduate diploma in marketing management and a Bachelor of Social Sciences, both from UCT. Miya has been shortlisted as one of the finalists in MTN's inaugural Women in ICT Partnership for Change Awards in the Community Builder category.